Friday the 13th is a superstitious day of any month to many people, but not to those faithful citizens of Gadsden on June 13th, 1919 (Friday) for on that date T. Jeff Bailey and District Governor Andrew J. Arrant of Birmingham made the first move in organizing a Kiwanis Club in Gadsden. T. Jeff was a Field Representative of Kiwanis International, with the responsibility of organizing Kiwanis Clubs in Alabama and Florida. .Andy. was a member of the Birmingham Club and the first District Governor of the Alabama/Florida Kiwanis district. On the above date 15 men gathered in the office of Judge Wm. J. Boykin in the Stocks Building and accepted the invitation of Kiwanis International to organize the third Kiwanis Club in Alabama, the other two being Birmingham and Mobile. It was quite an honor for Gadsden to have been chosen the city in which a Kiwanis Club was to be organized. On the editorial page of the Gadsden Evening Journal, the people of Gadsden were congratulated for having received this honor. On Wednesday, July 2, 1919 the first regular meeting of this group was held at the Printup Hotel and they had invited all prospective members to be present. 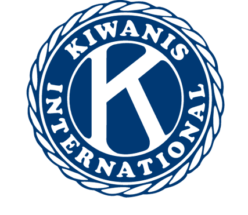 The meeting was held at nine o.clock in the evening and several members of the Birmingham Club were present as well as a large group of local men who were interested in learning more about the function of a Kiwanis Club. The next meeting was held on Wednesday, July 14th, 1919 at which time the required 50 members had been approved and that is the recorded date in the International records that the Kiwanis Club of Gadsden, AL was completed. Regular meetings were held on each Wednesday and on December 10th, 1919; the Gadsden Club received its Charter from Kiwanis International. This was a gala affair, attended by all the City Fathers, Club members, guests and their wives. Andy Arrant presented the Charter to the Clubs first President, William J. Boykin and T. Jeff Bailey welcomed the new club into Kiwanis International and wished it much happiness and success in the years to come. The club did not continue holding its regular meeting at the Printup Hotel for long, because the ladies of the local churches immediately saw the chance to serve the Kiwanis Club and pick up a few dollars for their church work. The Club then voted to meet alternately weekly with the Methodist and Presbyterian ladies organizations. In doing this they chalked up one of their first projects that of giving aid to local organizations. The first real project that was taken on by the Club was that of helping to organize Boy Scout Troops in Etowah County. The Boy Scout movement was just at this time getting started in this County. From that time on the Kiwanis Club has never stopped working with the Scouts and many other worthwhile projects. Gadsden boasted a population of 17,000 people, an occasional steamboat made a trip to our city from Rome, GA. Electric street cars were the main mode of travel from the Coosa River to the Southern Railroad.s passenger station in Attalla, and the old Etowah County Courthouse stood on the corner of 4th and Broad Streets. A few horse and buggy carriages were in use and a public watering trough for the animals was located in front of the Courthouse. Since those days, Gadsden has shown tremendous growth in all lines of progress and the Kiwanis Club of Gadsden likes to believe that it has contributed its share of the projects that have brought about the finer things that we now enjoy in our community. In the late twenties the Reich Hotel was built and the Club began meeting in its beautiful ball room. The Reich Hotel continued to serve as the meeting place for the Kiwanis Club until 1978 when the hotel was converted into an apartment complex. The Kiwanis Club met at the Civic Center at the Gadsden Mall until February 1, 1990. At that time the meeting was moved to the Center for Cultural Arts. In January, 2015, the Kiwanis Club moved to the second floor of the Gadsden Museum of Art, our present meeting place.